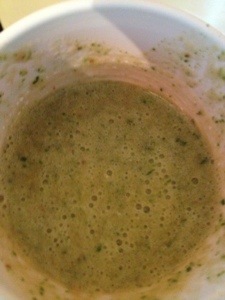 As you may have noticed a lot of people are talking about green smoothies and adding them to their daily regimen. How about you? Have you tried any green smoothie recipes lately? 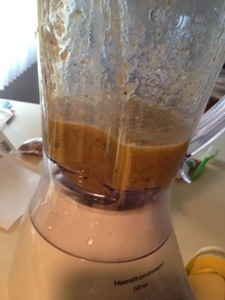 We’ve tried different recipes for green smoothies and we love them. This one here has a cup of frozen mixed fruit (peaches, mangoes, strawberries), one banana, one cup of apple juice and a handful of spinach. Over the next few weeks we will be sharing with you various green smoothie recipes and the benefits of drinking them. Are you ready to try a green smoothie? Do you have a combination you would like us to try? Leave us a comment and let us know. Shake It Up with Frush!